Minister Zappone has met with Mrs Lorraine McCabe and Sgt Maurice McCabe. 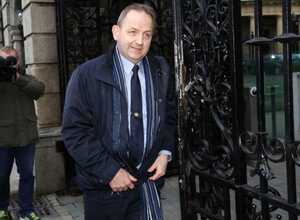 She has heard first hand of the devastation caused to them by the false allegations against Sgt Maurice McCabe. The Minister became aware of the circumstances when Mrs McCabe contacted the office of the Minister for Health on 18 January 2017. As the matter related to the Department of Children and Youth Affairs, the Private Secretary of DCYA was requested to call Mrs McCabe. The private secretary did this on 18 January. Minister Zappone met Mrs and Sgt McCabe on Wednesday 25 January. 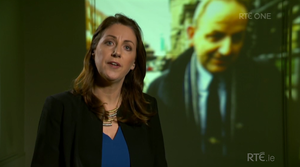 Since then her office has been in regular contact with Mrs and Sgt McCabe and Tusla – which has led to the offer of a public apology. The Secretary General of the Department of Children and Youth Affairs held a meeting with Senior Tusla Personnel on Friday 27th January. Tusla provided DCYA with a chronology and analysis of the case – which my Department gave to Mrs and Sgt McCabe on Saturday 28th January. Tusla informed the Secretary General that they have instituted a case review to extrapolate all relevant information in order to provide a more detailed analysis. 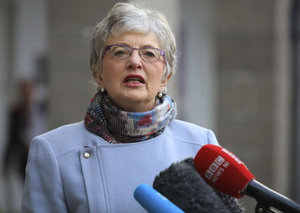 Minister Zappone informed relevant Government colleagues during the course of this period. 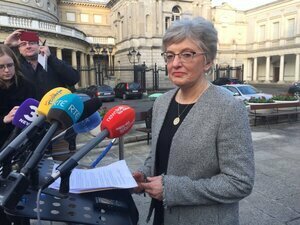 Minister Zappone was always of the view that Tusla would form part of the investigation by the Commission of Inquiry. 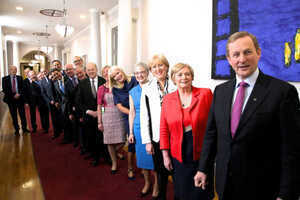 It’s also being reported that Ms Zappone is declining to name the “Governement colleagues” with whom she spoke. I thank Members of this House for agreeing to statements being taken on this important matter in the House today. As the House will be aware I have laid the relevant material before the House to give full effect to the recommendations of Mr Justice O’Neill. However, before moving to seek approval for the relevant motion I believe it is sensible that we discuss these matters here first. I am already persuaded from discussion which I have had that there may be some improvements which can be made to put beyond doubt that certain matters will come within the remit of the commission. I intend to reflect on what is said here today and make any amendments to the proposed draft order in light of those discussions. As Mr Justice O’Neill indicated, it is imperative that certain allegations be examined and I believe we should stick as closely as possible to the terms of reference he proposed. After all we appointed him and gave him terms of reference for the initial inquiry. He has considered all the issues and made a series of recommendations which I have laid before the House. Pasted In Error ‘We Are In The Process Of Apologising’ ‘Government Sources Have Said’ Anything Happen While I Was Away? 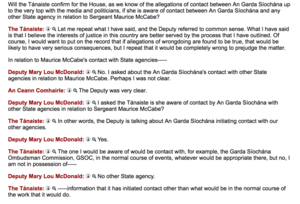 Posted in Misc and tagged Cabinet, Katherine Zappone, Maurice McCabe, Tusla at 4:06 pm on February 10, 2017 by Broadsheet. this is gonna cost a lot of money and somebody their freedom! Hopefully someone will go to jail for this abomination. I cannot believe that the administrative organs of the state could behave in such a reprehensible manner. Unfortunately its seems to be par for the course in this banana republic. Happens more than you’d like to think but rarely gets exposed. I don’t think there is an institution in this country with the capacity or the integrity to investigate Garda malpractice. It may cost some TDs their seats, and perhaps the commissioner might have to retire early on a very comfortable pension, but I seriously doubt that any criminal conviction will come from whatever ‘report’ ends up being published. Zappone iz tellin’ ze ponies, no ? Zappone just got promoted to thr third division. I have to put me hand up and admit that I gave Zappone me number 4 or 5 on the oul’ ballot sheet. I honestly believed it wouldn’t matter at the time. This needs a really, really big tribunal followed by a lengthy report. That’ll fix it!